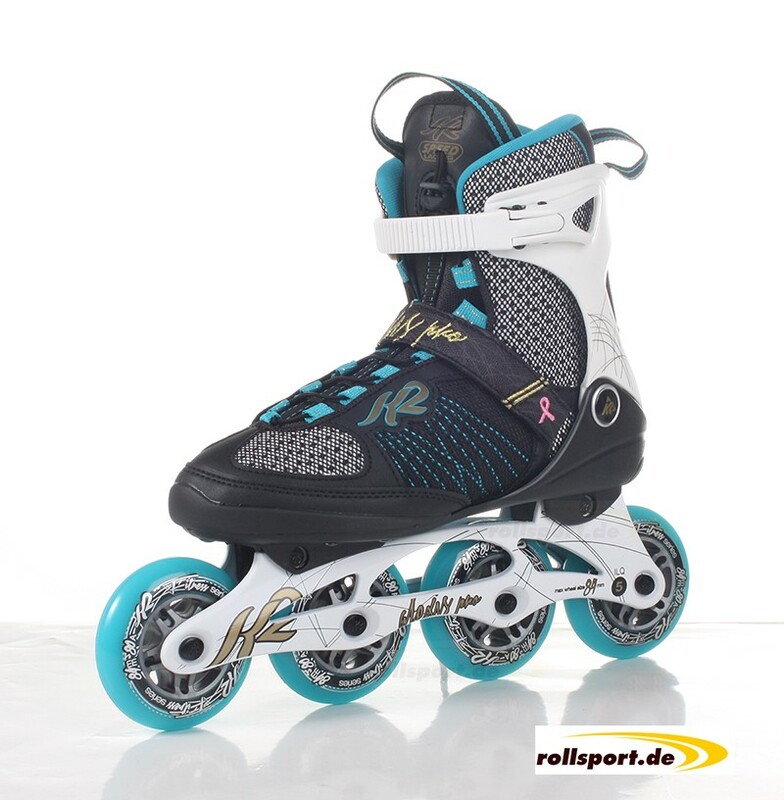 K2 Alexis Pro 84 - because of their low standing height, the new 84mm inline skates from K2 are perfect for beginners. The remaining datas (ILQ-5 ball bearings, quick lacing system, 280mm frame length) have remained the same compared to the previous model. The K2 Alexis Pro 2016 is equipped with a D.C. Aluminum Frame which offers an excellent power transmission. 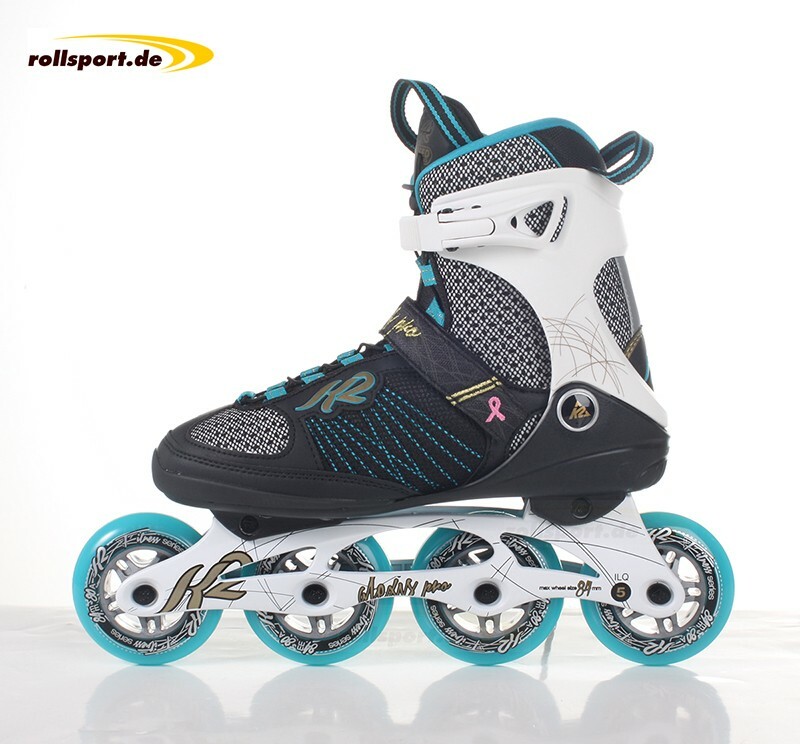 The Stability Plus Cuff ensures the necessary ankle support in the inline skates. The quick-lacing system allows you to lace and open the skate in a very short time and very easily.